Join our bird-friendly community. These four actions can add up to a big difference for birds. 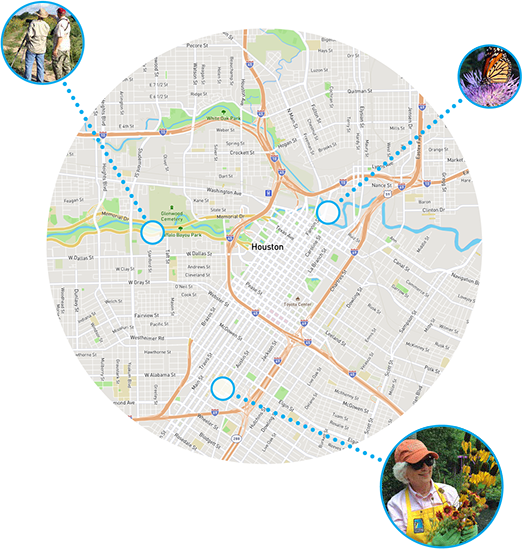 We invite you to be part of Houston Audubon’s Bird-Friendly Community—to share in the joy and support of birds, to deepen the understanding of our region, and to commit to improving our lives and the lives of future Houstonians. This important community resource is made possible with the support of The Meadows Foundation. 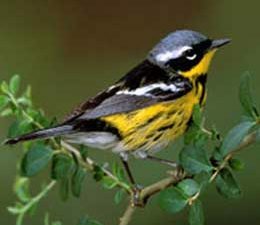 Join our community by creating a Bird-Friendly Yard. Learn how to support and attract a variety of birds, and turn your love of nature into action for birds. The Bird-Friendly Yard Program is kicking off in 2017, and we are excited to welcome the founding members. 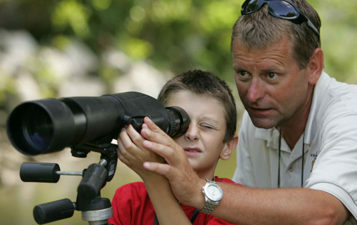 Find a neighborhood birding hot spot or be inspired by bird-friendly habitats around town. Here are a few tips and suggestions to help you enjoy one of the top recreational activities in the world. 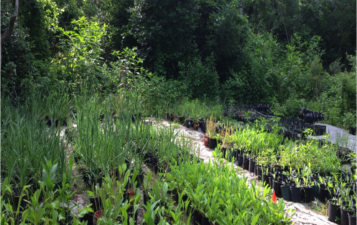 Houston Audubon's Natives Nursery sells "Real Deal" Native Plants that are hard to find anywhere else.